Have you noticed uneven tire wear? Or while driving have you noticed: an off-center steering wheel? Swaying, drifting or pulling? Difficult steering? Any of these symptoms may indicate the need for service or repairs to your vehicle's steering and suspension system. At Herrington Auto, we have certified technicians who will perform a professional inspection of the system, providing you with a complete analysis of the current conditions and repair cost estimate. We are a full-service steering and suspension repair facility. Worn steering, suspension and driveline components can cause noise, vibration, premature tire wear and misalignment. That's why we perform a complete steering and suspension system inspection with every alignment. By replacing worn parts you regain steering control and handling that will return your vehicle to its original operating performance. 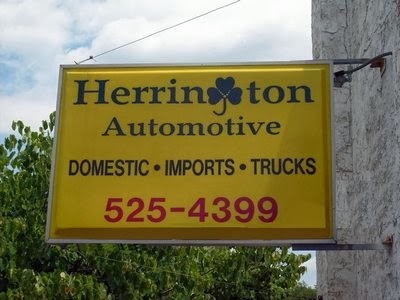 Herrington Auto provides full service in steering, suspension and driveline parts replacement. We carry brand name parts, such as Moog and Gabriel, with most carrying a Lifetime Warranty on parts and labor. Key parts we repair or replace may include; Ball joints, Bushings, Sway bar links, Center links, Idler arms/Pitman arms, Rack and pinion units, Tie rod ends/sleeves, CV joints/boots, CV axle half shafts, Shock absorbers, struts/cartridges.